More Power, More Torque and Improved Economy. With advances in technology, diesel engines have come a long way in recent years and are no longer considered the noisy, dirty truck engines from a few years ago. The popularity of diesel performance is on the rise and impressive torque and power is being offered from the factory in a range of vehicles, from traditional 4WD’s right through to hot hatches. The great news to those taking up the diesel tradition is these engines are not immune to the tuning treatment. As with all engines, they are set up from the factory with a little left up their sleeve that we can unleash for you. Diesel engines are built to withstand higher levels of stress than a normal petrol engine and as such make an ideal candidate for performance tuning at little expense. Carefully selected changes to late model diesels can reap massive rewards whether it be your Euro performance hatch, off road 4WD or SUV – we will have a tuning solution that will suit. Every diesel tune will be custom dyno tuned to ensure the very best results, each and every time. We take the time to ensure every avenue is explored, tested and confirmed to ensure when you pick your vehicle up, it has every safe and drive able Nm and KW it is capable of! If you are ready for improved performance, massive torque gains and want to save money at the pump then you are ready for a diesel upgrade. A more powerful tune is an efficient one in every sense of the word and that includes fuel economy. Note that we do not use any form of piggy back or interceptor style of tuning. 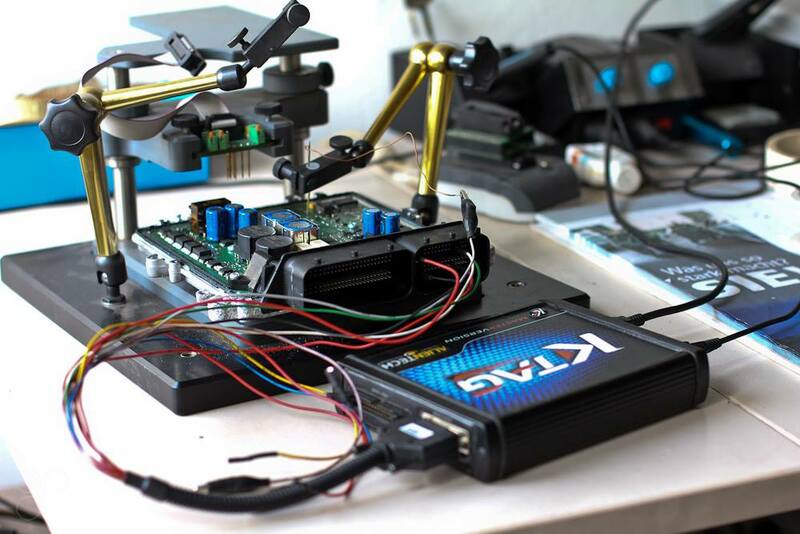 Examples of this are chip tuning boxes, resistor boxes and other variations of the same function – to trick the factory ECU into believing something that is running different to factory. The most common form is to increase the fuel rail pressure, thereby enriching the whole fuel curve across the whole rpm range at each and every point. The main issue with this form of tuning, is that with the simpler boxes the ECU measures the fuel rail pressure and will compensate by applying a correction factor to bring the fuel curve back to where it should be. More sophisticated interceptor systems may alter the sensor data back to the factory ECU. This messes up the factory ECU even more as it is forced to compensate by altering short and long term fuel trims. The end result is essentially the same, the factory ECU negates the fuel changes back to the factory default values. The final bit of ECU trickery, is that the factory ECU is tuned based off Torque maps. In other words, the ECU has a calculated torque value which it is actively targeting based off throttle position, engine load and other factors. When a interceptor style system alters various functions including boost control etc, the factory ecu will retard timing, boost and to bring the torque levels back down to the targeted values. Of course, none of this is an issue when you reprogram the factory ECU within itself, where we alter the targeted torque values to a higher level etc. It may cost more to tune a vehicle this way compared to most forms of piggy back ecu systems, but it is far more effective and your vehicle will not lose its tune. 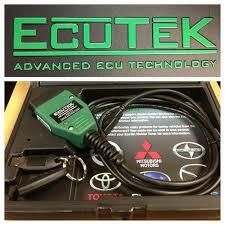 Additionally, you will not have check engine light issues linked with the tune unlike that of the piggy back systems. We use several brands of tuning systems although the main two systems we use are Kess, Ktag and Ecutek depending upon the brand vehicle and which system provides the best tune available.